After two complete performances against Sikkim and Punjab, Mumbai now take on a bowling heavy, Madhya Pradesh side in Indore. Shreyas Iyer and Suryakumar Yadav have bullied oppositions with explosive batting while Dhawal Kulkarni has been too hot to handle so far. Madhya Pradesh on the other hand, have won one out of their two games with youngsters, Sahani and Bhandari coming good on both occasions. While Mumbai walk into this encounter as the firm favorites, the fearsome bowling unit of MP could spring a surprise on the reigning Vijay Hazare Trophy holders. Veterans, Naman Ojha, and Rajat Patidar haven't come off yet with the management expecting a lot out of their best batsmen. In the midst of their failures, Parth Sahani has been in great form with scores of 90 and 49 to his name. He will be banked upon once again against a strong Mumbai side who will be wary of the likes of Avesh Khan and Ishwar Pandey. Both pacers are capable of picking wickets upfront and could have a say in the outcome of the match. No changes are expected of the Mumbai side that has played the previous two matches. Better performances are expected of their openers, Shaw and Rahane to complement Iyer and Suryakumar Yadav. In Siddhesh Lad, Mumbai possesses one of the most underrated talents in the domestic circuit with his presence adding much-needed firepower in the middle order. The bowling unit is fairly settled with the likes of Ranjane and Mulani performing admirably. Possible XI: Shaw, Rahane(C), Iyer, Yadav, Lad, Tare(WK), Ranjane, Mulani, Dhawal, Thakur and Deshpande. Wicket-keeper: Naman Ojha is the preferred choice in spite of his poor start to the Syed Mushtaq Ali Trophy campaign. Aditya Tare's batting position is a major put off for fantasy players paving the way for Ojha's selection. Batsmen: In the form that he is in, Shreyas Iyer is a must have in the side with one of Prithvi Shaw or Ajinkya Rahane alongside him in the fantasy team. Rajat Patidar is one of MP's best batsmen and could be expected to put in a good performance. Parth Sahani has scored 139 runs in two games so far and is also a viable option. All-rounders: Two out of Ranjane, Mulani, Iyer, and Baig would suffice in completing the all-rounder's department with all of them performing decently in the previous two games. Mulani was amongst the highest wicket-takers in the Vijay Hazare Trophy and could pick a few wickets against MP as well. Bowlers: Two of Shardul Thakur, Dhawal Kulkarni, and Tushar Deshpande is a necessity in the fantasy team while Avesh Khan and Ishwar Pandey are must have players from the MP team. All of them are bound to contribute in terms of wickets on Sunday and bring in vital points. Captain: Prithvi Shaw and Shreyas Iyer are the ideal options to have as captain in the fantasy team with their ability to play the big shots from ball one. Iyer is in perhaps the form of his life which makes him tough to ignore. 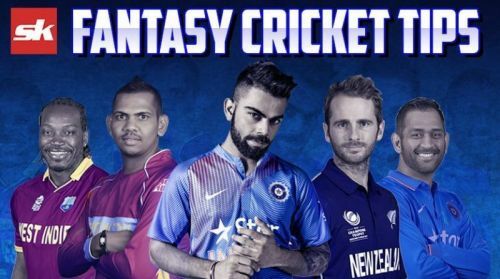 Fantasy Suggestion #2: Naman Ojha (WK), Ajinkya Rahane, Shreyas Iyer, Parth Sahani, Rajat Patidar, Shubham Ranjane, Venkatesh Iyer, Dhawal Kulkarni, Shardul Thakur, Avesh Khan and Mihir Hirwani. Captain: Shreyas Iyer.